We receive requests for millions of Masses each year from bishops around the world anxious to support the priests in their diocese. 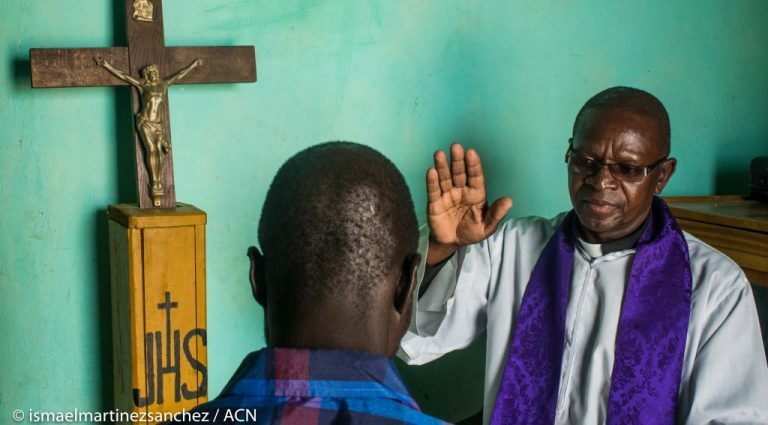 Mass offerings are an important source of subsistence for priests working in some poorest countries in the world, often amid persecution and oppression. Your Mass offering can help provide them with the basics of their ministry – food, clothes, transports and resources to help reach out to the those who are suffering. A mass offering can help nurture the Faith too, helping priests to go on spiritual retreat or seminary professors to by much-need teaching material. Aid to the Church in Need’s Mass stipend procedures are authorised by the Vatican’s Congregations for the clergy and comply with the Canon Law of the Catholic Church. We distribute Mass offerings to bishops in more than 140 countries. The bishops pass on the Mass offerings to the neediest of their priests. We are able to reclaimed tax on your Mass offerings – so please remember to complete a Gift Aid declaration, if you are able to, when you pay for your Masses. We regret that we are unable to ask the celebrating priest to say the names of those for whom the Mass is celebrated. Instead, he will celebrate the Mass for the intentions of a benefactor of Aid to the Church in Need, and we trust that through your prayers and ours, almighty God in his infinite wisdom will know the intention of the Mass. If you would like to remember your loved ones, you can light a prayer candle to remember them by or email us. If you are requesting a Mass for a departed loved one, you can also email us names to add to our In Memoriam book. When and where will my Mass be celebrated? Masses are usually said within six to eight weeks of when you make your Mass offering. Please bear this in mind if you wish a Mass to be said near a specific date. Due to the large number of Mass offerings we distribute to priests, we regret that we are unable to organise Masses on specific dates or in specific countries.